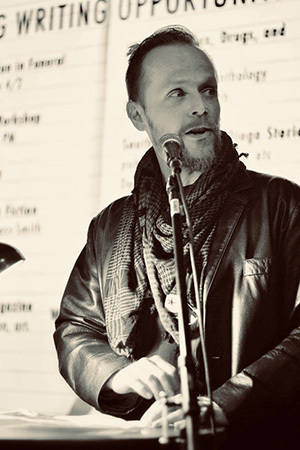 click here Del Cerro resident Justin Hudnall has lived an exciting and successful life in the literary arts — which makes him a perfect choice to be a part of a new and exciting event for writers. https://www.handdy.com/accounts/ order now The San Diego Writers Festival has announced that Hudnall will serve on the advisory board of its inaugural event where Piper Kerman, author of “Orange Is the New Black,” will be the keynote speaker. http://sanfordbiggers.com/bio buy now Hudnall’s background in writing is extensive. He received his bachelor’s in fine arts in dramatic writing from New York University’s Tisch School of the Arts. He has served as the founder and executive director of So Say We All, a San Diego-based literary arts and education nonprofit organization, since 2009. In addition to his involvement in literary groups, Hudnall also hosts and produces the public radio series “Incoming” on KPBS featuring the true stories of America’s veterans told in their own words, straight from their own mouths. In a prior career, Hudnall served with the United Nations in their New York headquarters and deployed to Juba, South Sudan as an emergency response officer. Kerman’s social-phenomenon literary work, “Orange Is the New Black,” chronicles the 13 months she spent in a federal correctional institution after a brief involvement with drug trafficking sent her to prison on money laundering charges. In her satirical and deeply insightful book, Kerman explores the experience of incarceration and the lives of the amazing women she met in prison; their friendships and families, their issues with mental illness, their substance abuse and their cliques and codes of behavior. Kerman’s book and the subsequent smash Netflix series pioneered the way we tell stories in the traditional print world, as well as in the new age of streaming entertainment. In addition to her a keynote speech and Q&A, as well as an onstage interview with award-winning playwright and San Diego Writers Festival co-founder Marni Freedman, Kerman will discuss her book, her memoir teaching, and her work for prison education reform. The San Diego Writers Festival celebrates writers of all kinds, including authors of fiction books, nonfiction books, poetry, spoken-word material, journalism, music, screenplays, graphic novels, comic books and more. The festival will be held on April 13 at the San Diego Downtown Library. Daytime events on the nine floors of the library will include interactive craft and industry-based workshops, live performances, educational panels about writing, opportunities to meet authors, book signings, readings, live music, and teen writing workshops as well as kid-friendly events. The 2019 San Diego Writers Festival will be a day where writers, writing groups, writing organizations, and writing support groups gather to celebrate and showcase their work — a day devoted to highlighting San Diego as a destination hub for creative writing talent. For more information, visit sandiegowritersfestival.com.